It's wind down time after a fun day with a good friend...retail therapy and heart to heart conversation - nothing better for the soul! 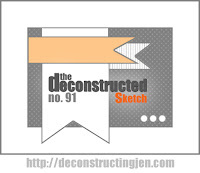 I'm using Jen Shults' Deconstructed Sketch and combining it with the Ways to Use It challenge on SCS where they are celebrating the 8th year anniversary of this challenge. We were asked to use a color shade in the purple family along with another element that represents an 8th anniversary celebration (I used lace). This chipboard banner is from my shopping excursion today and is by Bazzill Basics Paper. I cut out two "diamond" shapes from a lace border for the leaves. TFL! ACCESSORIES: Fishtail Flags STAX Die-Namics by MFT, Adhesive dots, Lace, Prima by Prima Marketing, Antique Frames by Bazzill Basics Paper. 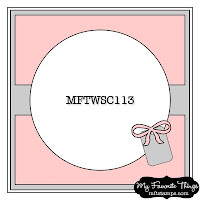 Just got home from work and wanted to post the card I created this morning for MFT's Wednesday Sketch Challenge in the MFT forum on SCS. I love the yellow and blue shades in the "Family Ties" 6x6 pad by Pebbles...am using it up quickly! I paper pieced the dress and colored the rest of the image with Copics. I'm sooo excited to be going on a shopping trip with my good friend, Teresa, tomorrow! It's been too long since we went day trippin'! The two hour trip to our destination seems like 2 minutes because we are in major yak mode the whole way - lol! Fun times! COPICS: E000, E21, G43, G46, Y15, Y17, E23, E25, B0000. 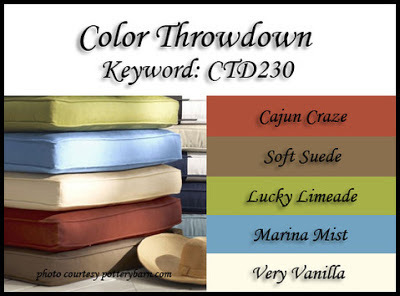 It's time for another Color Throwdown challenge! Aren't these colors just the yummiest?! 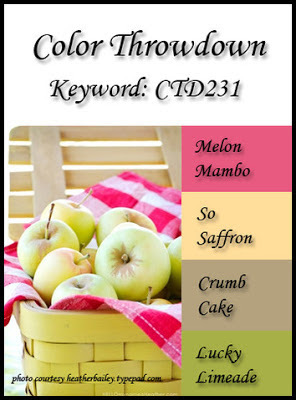 Broni is the hostess this week and found this delightful basket of apples to inspire us with color! 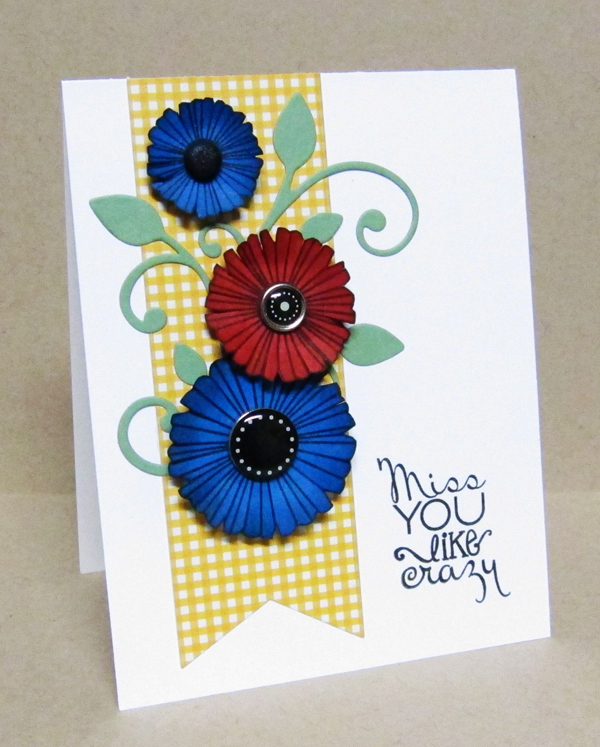 I'm in love with the use of banners on cards and found this "Watercolor Bouquet" DP in a die cut mat pad by K&Co that worked for these colors! I stamped the leaves in Crumb Cake ink on kraft CS. The roses are all dies by MFT using Melon Mambo and So Saffron CS. 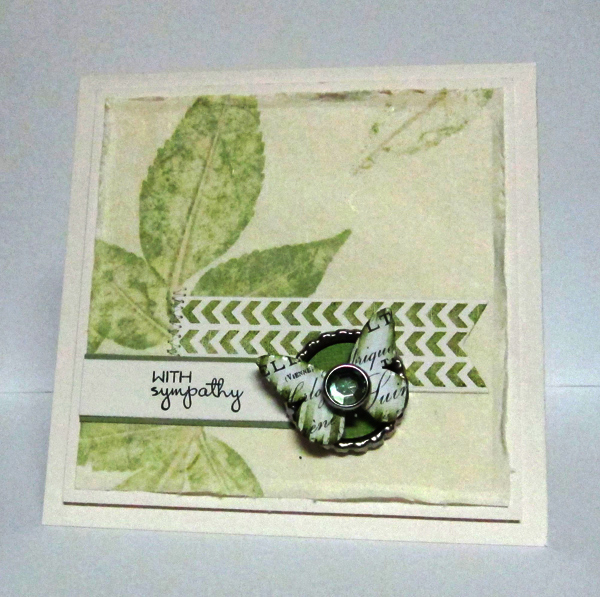 The leaves were stamped with Lucky Limeade ink on white and cut with Verve's Elegand Leaves die. A little bit of zigzag stitching and some rhinestones were the finishing touches. Remember, you don't have to use exact colors...just something close. Be sure and label your project with CTD231 if you upload to a public gallery. You'll need to link up on the Color Throwdown blog as well. Can't wait to see what you create with these gorgeous colors! While you're there, be sure and check out the rest of the design team's creations. It's the last week that we have the talented Kim Hahn as our guest designer...she's done a fabulous job for us this month! 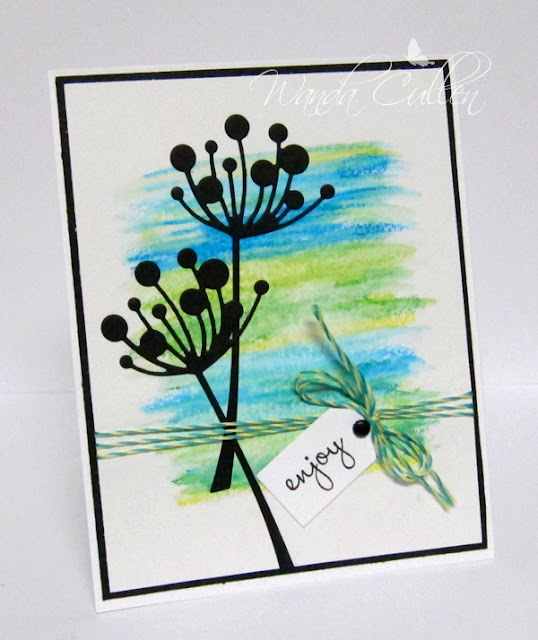 This is a "two for one special" for the Color Challenge on SCS (More Mustard, Midnight Muse, Old Olive with dessert option to watercolor) and for Flourishes Timeless Tuesday Challenge where it's all about shine and glitter. I dry embossed the Manhatten Flower EF by SU on 90 lb. 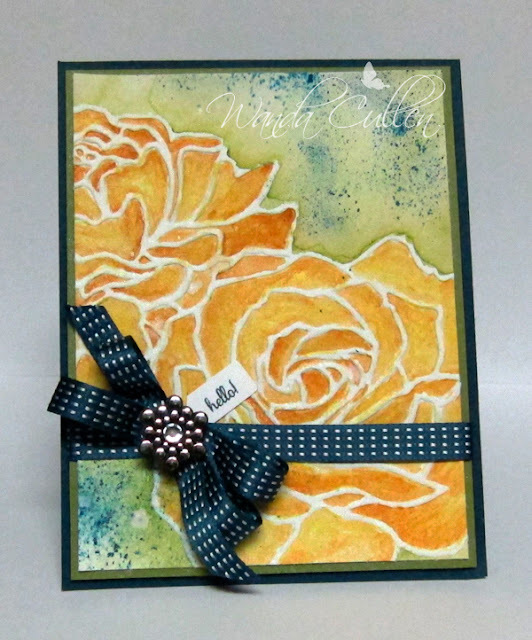 watercolor paper then scribbled a yellow watercolor crayon in the widest open sections of the roses. I then took my Aquapainter and pulled color off my More Mustard ink pad and shaded in the petals. Continuing with my Aquapainter, I painted some Old Olive ink around the roses' outline then spritzed some dark blue color using a Tombow #528 marker and SU's spritzer tool (or "spitter" as I affectionately call it - lol). I then sprayed the entire surface with Tattered Angels "Dazzling Diamonds" Glimmer Mist to add the glitter element. It doesn't show up really well, but it's there! 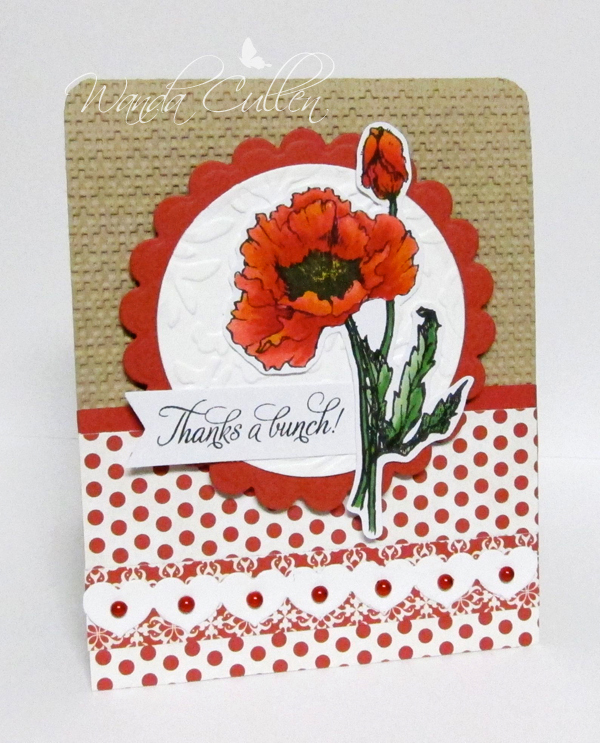 I just love the "teeny weeny" sentiments in Flourishes' new Old Fashioned Florals set - just perfect for the tiny tag punch by SU! I'm a novice with watercoloring and always love the look, so this was another chance for me to practice this coloring technique. ACCESSORIES: Midnight Muse ribbon by SU, Bling sticker by Recollections, Manhatten Flower EF by SU, Aquapainter, Spritzer tool (SU), Tiny tag punch (SU). It's the last Monday of the month, so that means a round or square Mojo Monday Challenge. I loved this layout and went with a monochromatic CAS design. I was rearranging some of my crafting space over the weekend, which led me to "discover" some textured (? mulberry) paper with real leaf imprints in the pattern. I cut the textured paper into a 4 1/2" square, distressed the edges and layered it on a 4 3/4" square of Vintage Cream CS. Then, I layered that using foam tape on a 5 1/2" square card base. I flattened a bottle cap by running it through my Big Shot, added a 1" circle of green CS and a chipboard butterfly sponged with Old Olive ink. We have a featured CAS stamper for this week's Splitcoast CAS Challenge: simplybeautiful. I chose this card to CASE. I switched up the flowers, colors and sentiment but kept the same layout, a similar leafy flourish and a gingham flag banner. I cut into the flower sections, sponged the edges and curled them up a bit to give more dimension. This is also for Joan's Technique Lover's Challenge to use circles. Hopefully the circular flowers and brads will qualify! 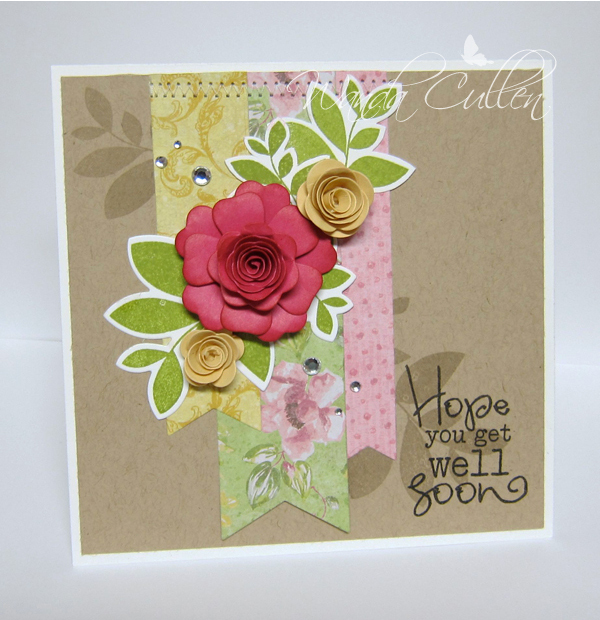 ACCESSORIES: Leaf Filled Flourish Die-Namics by MFT, Fishtail Flags STAX Die-Namics by MFT, Brads. Today's Featured Stamper Challenge on SCS is highlighting stampinandrea aka Andrea Hayes. 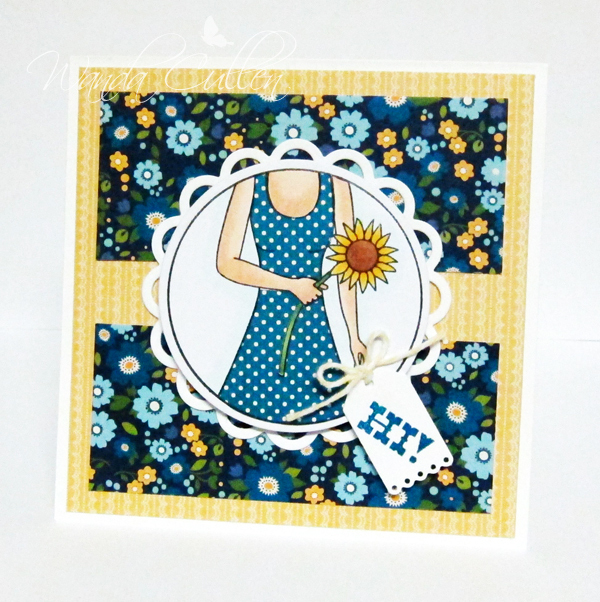 She has a fabulous artsy CAS style to her cardmaking and I decided to CASE this gorgeous card HERE. I used some watercolor crayons and scribbled 5 different colors on 90 lb. watercolor paper, then took an Aquapainter and scribbled over the crayon markings. 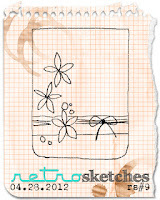 I'm also playing along with the Retrosketches Challenge blog. 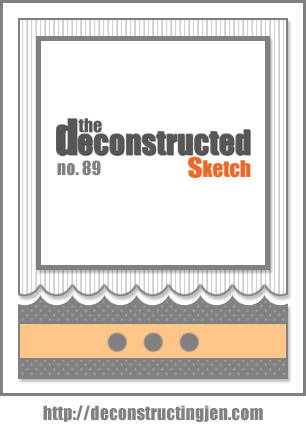 This is week #52 and we have the option to choose any sketch over the past year, so I picked RS#9. Another quick and easy card! ACCESSORIES: Chloe Stem die by Memory Box, Baker's twine by Pinkpaislee, Tiny tags die by PTI, Brad, Reeves watercolor crayons. This week's CASE Study Challenge has a great card by Teri Anderson...check it out on the right! 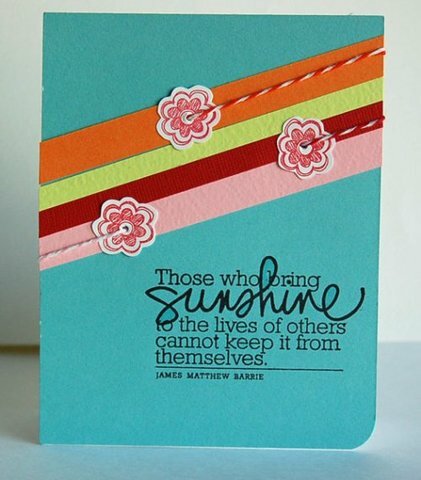 Teri's projects are seen in quite a few papercrafting publications and I'm in awe of her talent for clean lines and basically simple styles with her cards! I thought these PTI papers in their Text Style "Everyday Blessings" pad would make a great baby card using Lemon Tart CS as the base. The star and chevron dies are by My Favorite Things. The sentiment is from Verve's "Making A Statement" set - more great fonts which is why I almost always go to my Verve arsenal for sentiments! 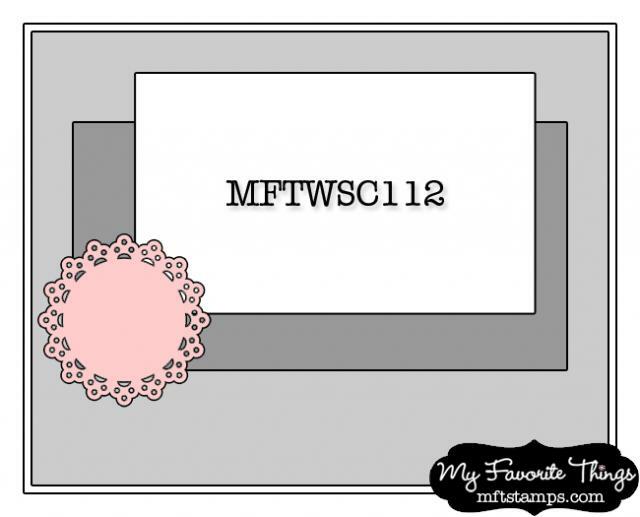 This was so quick and easy to create...thanks for stopping by and commenting! Always love hearing from you! I needed an encouragement card for our pastor who is recovering from a fractured back injury in an auto accident. 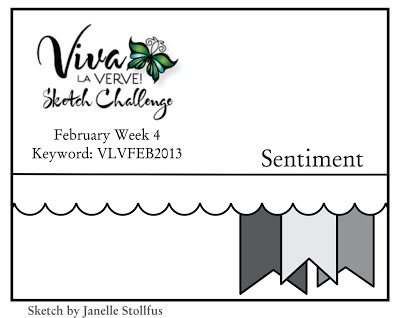 The CAS sketch for this week's Viva la Verve challenge was perfect to highlight this Psalm 46:10 Plain Jane sentiment! I used Fishtail Flags STAX and Postage Stamp Border Die-Namics (MFT) along with Verve's Curvy Bookplate die. Designer Naturals buttons by SU were added. Papers include To the Nines Specialty papers by SU, Chocolate Chip and Vintage Cream (PTI). Easy peasy card! 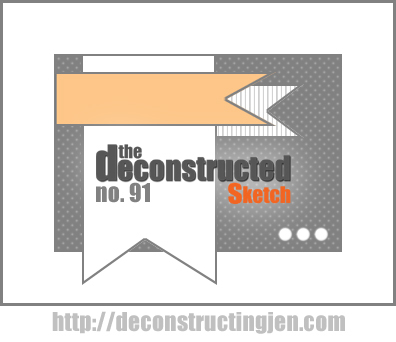 This second card is for Jen Shults' Deconstructed Sketch Challenge. The shamrock was created using SU's "Hearts" Framelits with a freehand cut stem. 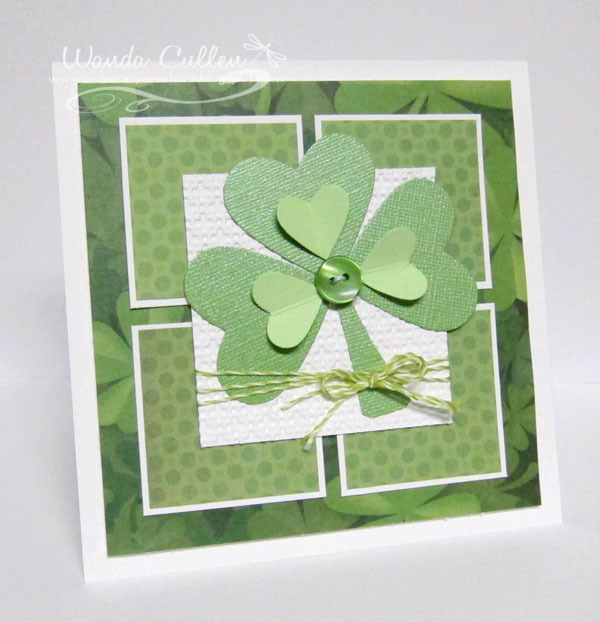 I've had the BG "Clovers" paper by Karen Foster Design for years. The dotted paper is called "Beach Balls" by We R Memory Keepers (the reverse side has multi-colored bright dots...thus the name). Thanks for stopping by...it's been a challenging morning with getting computer issues resolved! First, the Wi-Fi in the house stopped working. Unplugging the wireless router for about a minute and restarting fixed that problem. When I powered off my iMac yesterday, my Photoshop Elements 11 icon simply vanished from my dock and I couldn't access the software anywhere! SO frustrating! I had an online chat with tech support through PSE and she fixed me up again, so I'm good to go...for now anyway! I hope those leprechauns quit messing with me and my technical stuff - lol! I did some masking while stamping in Memento Tuxedo Black ink on X-Press It Blending Card, then colored with Copics. I like to add a hint of yellow whenever I color red flowers as it just seems to make it more vibrant and realistic-looking. COPICS: R22, R24, R27, Y19, YG61, YG63, YG67. 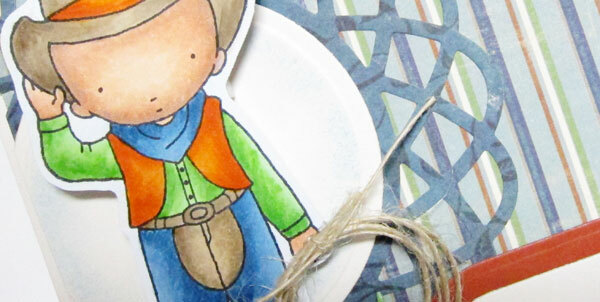 I decided to go with this PI cowboy image from MFT, so I could play with my Copics again. 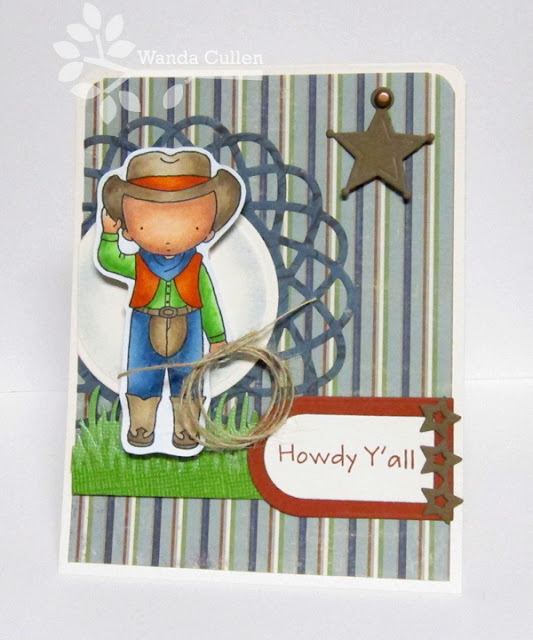 I added a jute lasso and some die cut grass to ground the image. 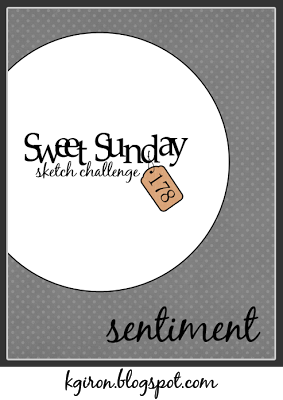 The layout is for Karen Giron's Sweet Sunday Sketch Challenge. 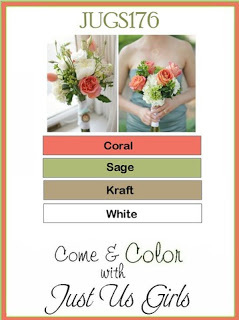 Remember, you don't have to use exact colors...just something close. Be sure and label your project with CTD230 if you upload to a public gallery. PAPER: Nottinghill pad by 7 Gypsies, Cajun Craze, Soft Suede, Vintage Cream, Scraps of green (? Bazzill). ACCESSORIES: All dies are MFT Die-Namics (doily, star border, rounded banner, grass, star) with the exception of the circle Nestie; Jute twine, Copper brad, Corner chomper, Copics. Check out the other design team members along with our guestie, Kim Hahn! "We just melt the chocolate bar in a ceramic bowl inside a pot with some water on the stove, then add the coconut oil and wait for everything to melt. Throw in the coconut/almonds and pour into a small square baking sheet and sprinkle sea salt evenly across the top. Pop it in the freezer for 15 minutes, then take it out and break it into chunks. Easy. 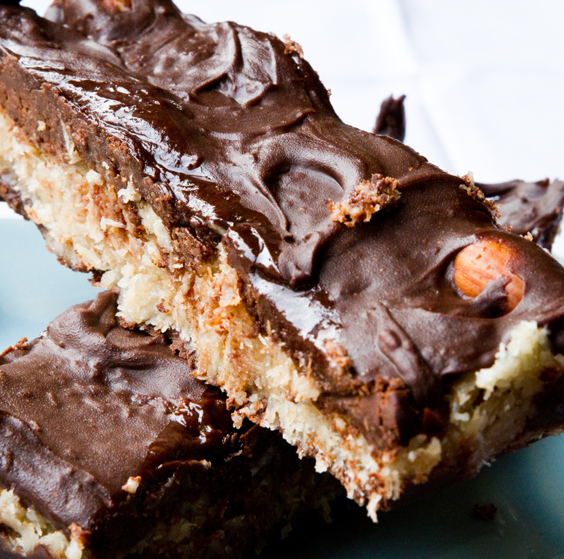 I'm sure you can fudge with the amounts, and maybe add stevia if you want it sweeter." Hahaha...I loved that he used the punny "fudge" with the amounts phrase! He knows me well! Oh..did I mention I'm 10 pounds lighter? I still have a long way to go, but I'm feeling better already! Today's CAS Challenge on SCS has a fabulous inspiration quote: "Music gives a soul to the universe, wings to the mind, flight to the imagination and life to everything." I also combined this with Judy's Technique Lover's Challenge to use washi tape and with Chupa's Sketchbook Saturday Challenge. I'm needing some thank you cards, so this fell together so quickly! 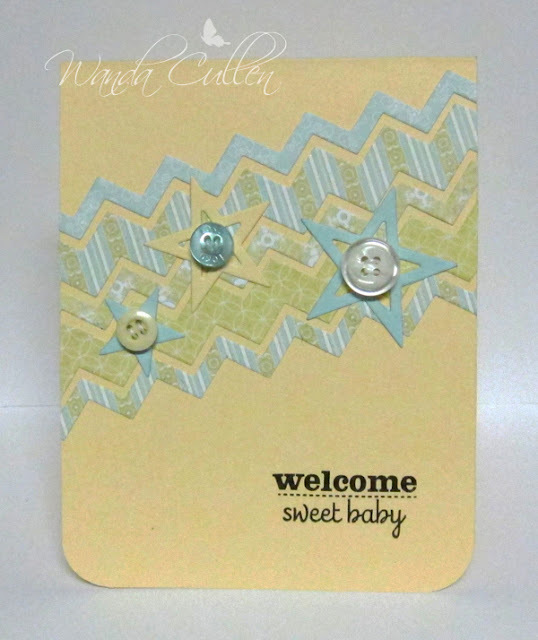 I dry embossed with a scallop border from SU and with a Dotted Swiss EF by Cuttlebug. 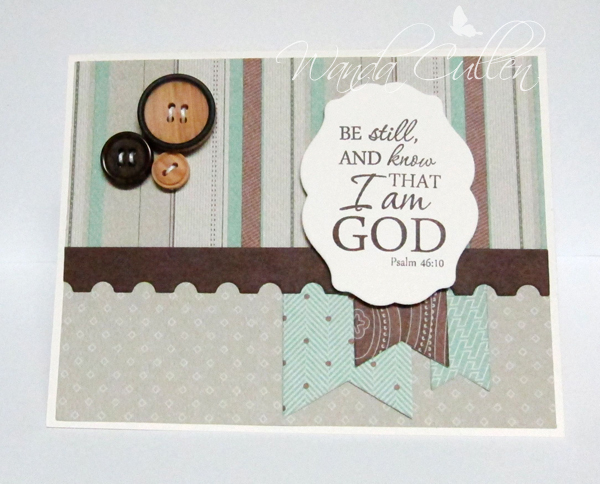 The musical washi tape is by Tim Holtz and the striped tape is by Recollections. 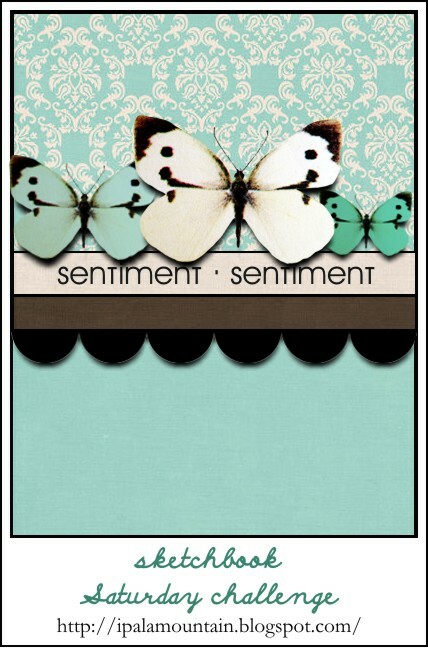 Papers are Aqua Mist and Vintage Cream by PTI and the butterfly die is by Cheery Lynn Designs. I attached it using small glue dots to the body then allowed the rest of the intricate die to curl up a bit for dimension. Good Monday morning everyone! It's time for another Mojo Monday Challenge and you'll want to check out this great sketch by Mary Fish! I initially was stumped with knowing what to do with those large circle elements, but I spied this Triple Treat Flower stamp (SU) sitting on my desk and that's when I had an "aha" moment. I found some burlap stickers on my last visit to my LSS, so included them for a touch of texture. I fiddled and dabbled with several ideas for that top left corner...just felt it needed something to balance out the card. I discovered I had these buttons that perfectly echoed the shape of the large flowers, so went that route. My supply of Bermuda Bay CS is just about depleted and I'm really sad to see it disappear! 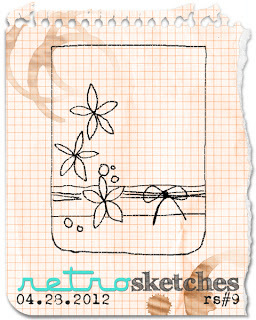 OK...so now it's time for you to get that mojo going and make a card using this fun sketch! If you want some more inspiration from the other mojomakers...check them out below - or you can go to the Mojo Monday blog. 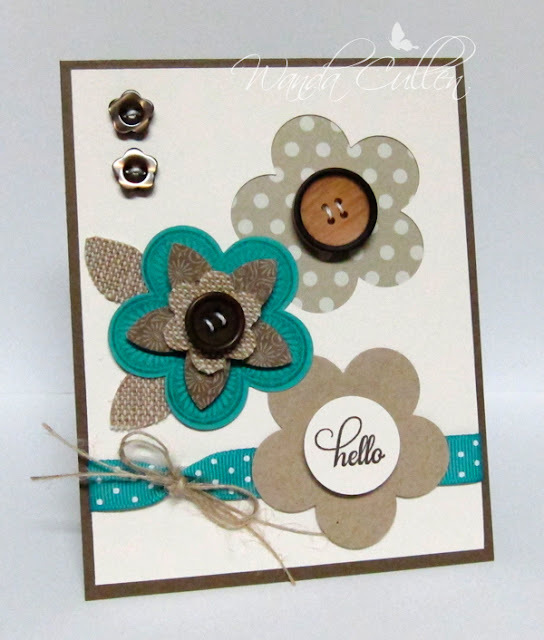 ACCESSORIES: Blossom and 5 petal flower punches by SU, Burlap stickers by Little Yellow Bicycle (Michael's), Buttons by SU, Bermuda Bay grosgrain ribbon (SU), Jute twine, 1" circle punch by SU. A quick post before heading out to work. OK...so I fudged a bit and went with Vintage Cream (confession: I actually forgot about the white). :-( Anyway, the wide open space in Jen's sketch had so many possibilities and you might know I'd fill it with flowers - lol! More rolled roses and a tag sentiment...some ribbon, twine and pearls and I was done. The rickrack die gave me the biggest grief in getting the panels lined up properly...but won't bore you with the details of my repeated cutting. 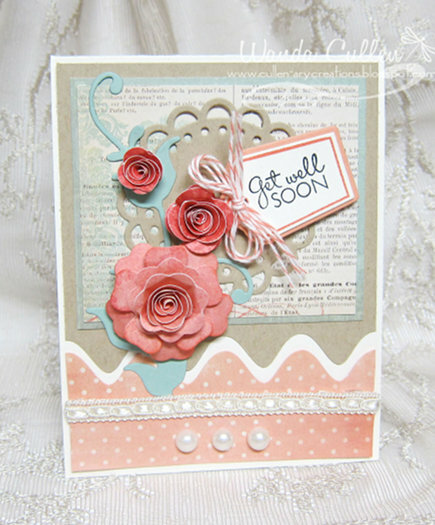 ACCESSORIES: Mini hybrid tea rose Die-Namic by MFT, Mini rolled roses Die-Namic by MFT, Doily Die-Namic by MFT, Calypso Coral baker's twine by SU, Leafy flourish Die-Namic by MFT, Adhesive pearls.